Mark Zuckerberg: Insights of the 2-Day Testimony! Mark Zuckerberg appeared in front of the House Energy and Commerce Committee. Here’s all you need to know about his testimony! I watched the whole video and call it funny but I counted the number of times he answered a question in the phrase I mentioned above. It happens to be 20 instances where Mark Zuckerberg promised that he’ll have his team follow up and come up with detailed information. However, I do feel, these are his homework and we will definitely wait for the answers to those specific questions revealed. Congressman Ben Lujan, Democrat, New Mexico, asked Zuckerberg, “You’ve said everyone controls their data, but you’re collecting data on people who are not even Facebook users who have never signed a consent, a privacy agreement.” This is definitely a mystery we all want to know about. Apparently, even the CEO was clueless about it, and clarified that he didn’t know the term. However, he did mention that the firm monitors non-users for security purposes. He also promised to share more details on the type of data gathered of people who aren’t signing up for Facebook along with the many data points it has on those who sign up. Mark Zuckerberg was also asked to give details on how the users are tracked on all of their devices when they are logged out of Facebook. Congressman Frank Pallone, Democrat, New Jersey, asked Zuckerberg to move to an opt-in model, where the decision lies with the users whether they want to make something public or not, as currently it is in the default whenever we post any content. He concluded by saying, “I think you should make that commitment.” I personally think, it doesn’t sound that complex and can be easily implemented. In the same conversation, Mark Zuckerberg was asked to get back to Congressman Frank Pallone on how Facebook might work on collecting less information on its users respecting their privacy. Congressman Steve Scalise, Republican, Louisiana said, “Was there a directive to put a bias in [the algorithms]? And, first, are you aware of this bias that many people have looked at and analysed and seen?” Prior to the hearing, Mark Zuckerberg admitted that despite acknowledging Facebook’s big mistakes, nobody got fired over the Cambridge Analytica Affair. However, Steve Scalise took it further by asking the CEO about the repercussions faced by the responsible faces or the punishment received when someone created an algorithm that unfairly filtered certain political views. Senator Ed Markey, Democrat, Massachusetts, said, “We’re leaving these children to the most rapacious commercial predators in the country who will exploit these children unless we absolutely have a law on the books.” We all know that the minimum age of users on Facebook is 13, excluding the Messenger for Kids app which is lighter than the main app. Senator Ed Markey suggested that people aged between 13 to 18 are in their delicate years of teenage and that should be protected by tighter rules. Zuckerberg replied by saying that the idea deserved a lot of discussion, but might not a new law. He also promised that his team will flesh out the details. Congresswoman Debbie Dingell, Democrat, Michigan said, “It doesn’t matter whether you have a Facebook account. 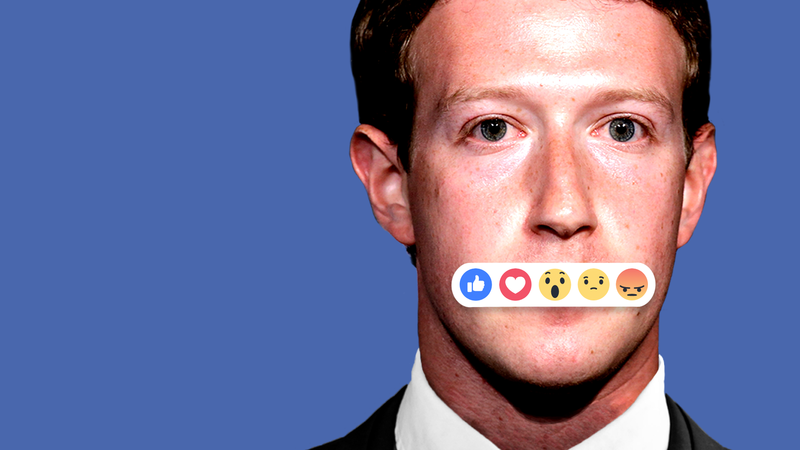 Through those tools, Facebook is able to collect information from all of us.” This is certainly the case as everywhere on Facebook you can see some or the other button suggesting you to Like or Share things. This is a legitimate request to at the very least estimate the number of Facebook buttons spread elsewhere, as our privacy remains a little intact by taking this step. In the present scenario, the Like buttons help the company to track users on pages that are not even a part of Facebook, hence giving more data for advertisers. Therefore, I am thinking if Congress doesn’t understand Facebook, what hope do its users have?! Will Facebook’s New Feature Bring Us Back To Reality?